Not least because the day after al-Shabaab militants attacked the Dusit Hotel complex in Nairobi, the former al-Shabaab fighter we’ll call “Musa” realized he had met one of the terrorists, seven years earlier, in Somalia. 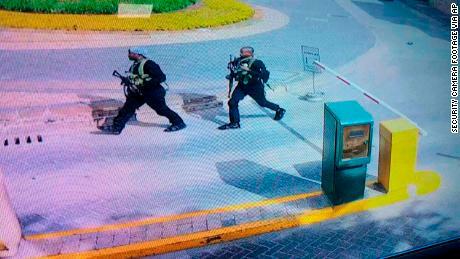 Ali Salim Gichunge, a thick-set Kenyan militant, was caught on security camera footage during the 20-hour attack on the Dusit and was killed alongside three other gunmen by Kenyan special forces. Authorities have since arrested a number of people allegedly connected to Gichunge. A suicide bomber also detonated himself at the start of the rampage, which left 20 civilians and one policeman dead. 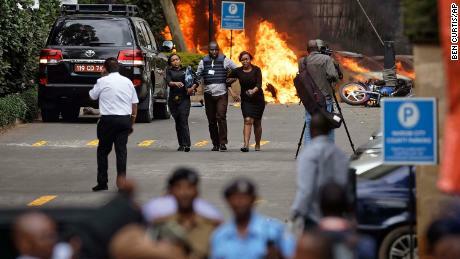 Al-Shabaab claimed that it carried out the massacre at the Dusit in revenge for President Donald Trump’s decision to move the United States embassy in Israel from Tel Aviv to Jerusalem. A nationwide manhunt is now underway for alleged collaborators including women who, local media say, the police suspect of being weapons couriers between Somalia and Kenya. But Musa’s identification of Gichunge is the first public evidence that links the Kenyan attacker to Somalia. Musa said Gichunge was a member of the feared Amniat, al-Shabaab’s internal security service, and that he met him in Baidoa, central Somalia, in 2012. 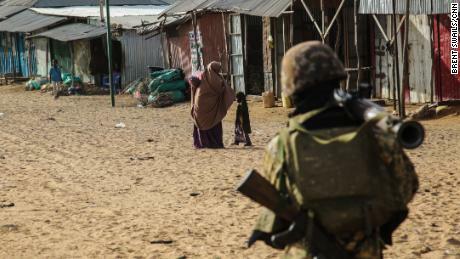 Musa’s descriptions of the town, and video evidence he had of his time in al-Shabaab, were examined by CNN and proved beyond doubt that his claims to have been a fighter in Somalia were legitimate. Gichunge, wearing a baseball cap on backwards, is clearly visible in CCTV footage released to the media after the attack. “I was shocked. When I saw the CCTV I said ‘I know that guy! '” Musa told CNN in an exclusive interview. CNN has not revealed Musa’s identity for his own safety. He says he has survived one assassination attempt by al-Shabaab in Nairobi after former comrades were sent back to his home town to kill him as punishment for defecting. His would-be assassins were later killed by Kenyan police after they committed a string of robberies. While in Somalia, Musa said he was subjected to a “jovial” interrogation over lunch by Gichunge. “That sort of question, but we knew he’s interrogating us,” Musa said. He added that anyone failing such a “test” by Amniat agents like Gichunge would be imprisoned for months — or worse. Many of the most radicalized al-Shabaab volunteers were fighters who had converted from Christianity, he added, including Gichunge. Musa says he walked for nine days into Kenya through bush to escape al-Shabaab. He eventually was given amnesty under a Kenyan government program to rehabilitate al-Shabaab defectors who had been lured from Kenyan mosques to Somali battlefields by recruiters embedded in the local community. Speaking in a secret location in Nairobi, Musa said he had taken part in the decapitation of a prisoner of war. He was part of group that took turns with a knife to saw and the neck of the victim — a tactic used by the terror group to ensure everyone’s involved in the crime. 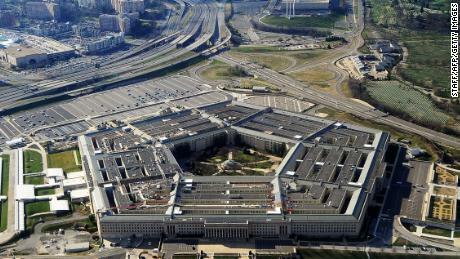 Basic military training is reinforced by involuntary collusion in atrocities.”It’s to reduce fear in you,” he added. Al-Shabaab has used suicide bombers to devastating effect, not just at the Dusit but in numerous attacks inside Somalia. In October 2017, more than 500 people were killed in a truck bomb suicide attack in Mogadishu in the deadliest single terror attack since the September 11, 2001 attacks in the US. In January 2016, a similar weapon was used in the vanguard of an al-Shabaab assault on Kenyan troops in El Adde, Somalia. 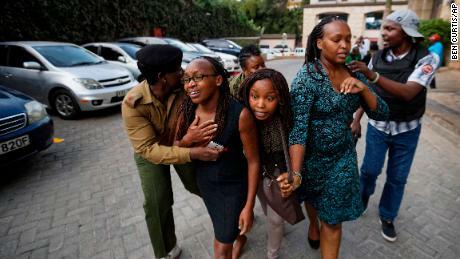 The Kenyan base was overrun and at least 140 troops were killed. Musa told CNN that suicide bombers go through a rigorous selection process. New recruits are asked explicitly if they want to volunteer to “blow yourself up.” Those selected are then taken away from the main group and indoctrinated for at least a year with daily Quranic studies, lectures by a “sheikh,” and intense physical and military training. “Training with al-Shabaab is very, very tough,” he said. Musa met numerous foreign fighters, he said, from the United States, Australia and Britain. One British fighter said he wanted to return to his homeland with his wife and three-year-old son, and carry out a suicide bombing, Musa revealed. And the former al-Shabaab fighter had a grim warning.